What the banks still won't tell us. A few days after the stress-test results hit Wall Street last week, Fed chairman Ben Bernanke took to a podium in Jekyll Island, Georgia, to share his thoughts on the much-hyped exercise. The chairman went deep into the weeds on how 150 government examiners spent ten weeks scrubbing the balance sheets of the country's largest banks. He pronounced the findings firmly in the mainstream of independent studies, with copious citations to bolster his case. 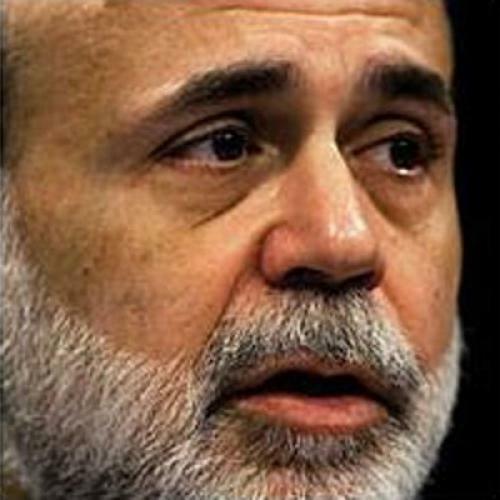 Then, when he was done, Bernanke tried to place the stress tests in a broader context. "A principal goal of the capital assessment process is to help increase confidence in the banking system. ... Whether the objectives of the assessment program were achieved will only be known over time," he said. "We hope that, in two or three years, we will be able to reflect on the banking system's return to health." Bernanke is exactly right: The stress tests are a key inflection point in the story of the financial crisis. If, in two or three years, the banks have fully recovered, we'll look back on the stress tests as the moment Bernanke and his colleagues righted the course. But if, in three years, the banks are still muddling along--or, worse, if they've badly regressed--we may wonder whether the government missed an opportunity to wake the banks from a deep denial about losses. The concern is that, while the government's numbers are defensible, there are simply hundreds of ways the stress tests could be off the mark. One easy-to-see example is the subset of securities--like mortgage-backed securities--the banks acquired for investment purposes and plan to hold for years. The 19 major banks have portfolios of such securities collectively worth hundreds of billions of dollars--many of which are now trading at deep discounts--and yet the stress test only anticipated about $35 billion worth of losses in this category. It's not hard to imagine the losses being much higher--if, for example, the mortgages backing certain securities go into default. Actually, you don't need to imagine. MetLife, an insurer that officially became a bank holding company in 2001, has a portfolio of debt securities it values at about $188 billion. By its own accounting, if MetLife were to try to sell those securities today, it would have to sell them at a loss of about $29 billion. But, because MetLife deems the securities only temporarily depressed, and because it plans to keep them far into the future, MetLife doesn't "realize" the losses. Or, as MetLife's 2008 annual report elegantly put it, "[Based on] the Company's current intent and ability to hold [the securities] ... for a period of time sufficient for them to recover, the Company has concluded that these securities are not other-than-temporarily impaired." As it happens, there's another insurance company that's heavily invested in debt securities hit hard by last fall's financial meltdown: AIG. And, unlike MetLife, the accountants at AIG's life insurance division looked over its $263 billion portfolio and concluded that some $39 billion was a lost cause. In fact, the language AIG uses to discuss the same issues in its annual report is strikingly at odds with MetLife's: "Notwithstanding AIG's intent and ability to hold such securities until they have recovered ... AIG concluded that it could not reasonably assert that the impairment would be temporary." To be fair, the government was far more conservative than MetLife in its stress-test accounting: It estimated in the neighborhood of $8 billion in losses for these securities. Likewise, it's entirely possible that the particular contents of MetLife's portfolio differ significantly from AIG's--the government had access to "granular" information you and I do not. The point isn't to bash MetLife or the government's auditors. Just to point out that a stress test of this scope is incredibly subjective and each judgment call can have enormous consequences. The problem isn't that the government won't acknowledge the size of banks' losses--the stress tests more or less do that. The real problem is that the banks won't fully acknowledge their losses. One of the more elusive concepts in all of accounting is an exercise known as reserving. When a bank receives, say, interest payments on a loan, not all of that revenue is profit. Some of it must be set aside to cover the possibility that the loan could go bad--what's known as a loss reserve. The relevant accounting rule says banks must set aside reserves for any "probable" losses over the intermediate-term (usually a year). Though there is some debate among accountants over what probable means--some say a better-than-even-chance, others say 70 to 80 percent likely--it is hard to conclude that the banks are adequately reserved. A more direct way to see this is to inspect the losses the banks implicitly expect. In their annual filings, banks are required to attach a "fair value" to their loan portfolio (essentially a market price), which is different from the value the banks claim on their books. As Christian Leuz, an accounting professor at the University of Chicago, notes, subtracting this "fair value" from the "book value" gives a rough estimate for the losses a bank would suffer if it had to liquidate its portfolio immediately--which comes to about $196 billion for the country's four largest banks (assuming my math is right). This should be a very pessimistic number, since a bank can always make more money by hanging on to some of its loans, which banks often do. But, pessimistic as it is, it's far, far smaller than the government's estimate for these banks' loan losses under its stress-test scenario--about $345 billion. Bank self-delusion about losses is an old story--and a potentially alarming one. In 1991, the General Accounting Office (GAO) conducted a kind of autopsy on 39 banks that had failed in the late '80s. One of the figures the GAO studied was the difference between the loss reserves the banks had set aside six months before failing and the loss reserves regulators deemed necessary once they had a chance to inspect their books upon failure. The difference was staggering: $2.1 billion versus $9.4 billion--an increase of roughly four-and-a-half times. The banks' blissful (or perhaps willful) obliviousness to potential losses had stuck taxpayers with an enormous tab. "Banks do not crash overnight and there should have been some warning of the huge losses that had to be taken and, for the most part, absorbed by [the government]," the report groused. Fortunately, thanks to the stress tests, the banks are being forced to raise capital to absorb potential losses whether or not they acknowledge them. But, even so, one can't feel too comfortable with a situation in which banks systematically lowball the numbers that determine whether they survive or collapse. For all its heroic digging, after all, the government only had 150 examiners spread out across 19 massive banks for ten weeks. The banks, by contrast, collectively have thousands of accountants and auditors at their disposal. There's no way the government could completely overcome this information disadvantage, even if it had had double the number of people spending double the amount of time. At a certain point, we have to rely on the banks own assessment of their financial situation. And that's when things get a little scary. In April, Neil Barofsky, the special inspector general for the government's bank bailout, said his office was looking into whether certain banks committed fraud last fall to demonstrate that they were fundamentally sound--a precondition for receiving bailout money. "I hope we don't find a single bank that's cooked their books to try to get money but I don't think that's going to be the case," Barofsky told the Financial Times. Raise your hand if you disagree.